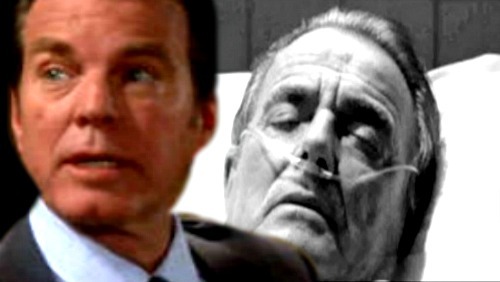 The Young and the Restless (Y&R) spoilers tease that Victor (Eric Braeden) will remain in dire condition after his stunning fall. J.T. (Thad Luckinbell) shoved Victor down the staircase during their vicious battle. He’ll leave Victor on the floor on this Monday’s new Y&R episode, March 26, but Jack (Peter Bergman) will ultimately discover his enemy and call for help. J.T.’s probably hoping Victor will die and let all his secrets die with him. He will be disappointed and afraid when Victor survives. 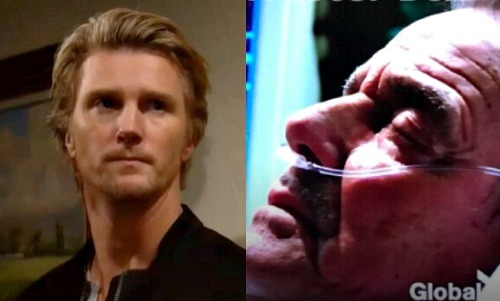 The Young and the Restless spoilers say Victor’s friends and family members will fret as he lingers in a coma. Vic will be alive, but his prognosis could still be grim. His loved ones will have no way of knowing if he’ll ever wake up. Of course, J.T. will realize the threat he’s facing. He’ll understand that things are going to get ugly if Victor awakens. As long as Victor’s memories are intact, he could reveal J.T. as his attacker and tell everyone how he abused Victoria (Amelia Heinle). J.T. could lose his fiancée, his kids and his reputation and many years of his freedom! Everything is on the line here. J.T. can clearly come unhinged when his back against the wall. Will he consider taking drastic action to save himself? That certainly seems like the next logical step in this storyline. During the week of April 2-6, Y&R spoilers say someone mysterious will enter Victor’s hospital room. He’ll get a visitor that’s unexpected. J.T. could easily be the one who sneaks in on a mission. He may be willing to make a bold move for the sake of protecting himself. Victor might still be in a coma at that point. That would give J.T. the perfect opportunity to finish Victor off. He could plan to unplug Victor’s life support and hope that no one will catch him. Naturally, J.T. wouldn’t succeed in killing the great Victor Newman. Victor isn’t going anywhere, so this plot would inevitably fail. 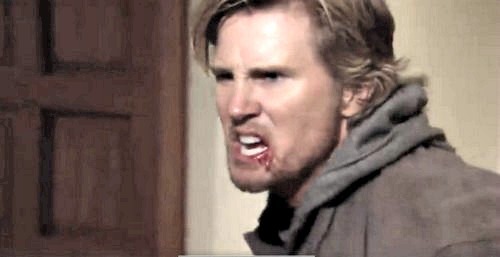 Nevertheless, it would give Young and the Restless fans another jaw-dropping moment. That seems to be what Y&R’s going for these days. Do you think J.T. will try to kill Victor again? We’ll give you updates as other news comes in. Stay tuned to the CBS soap and don’t forget to check CDL often for the latest Young and the Restless spoilers, updates and news.